Ted is a market dog. His owner sells eggs on a stall outside Menton's municipal market. 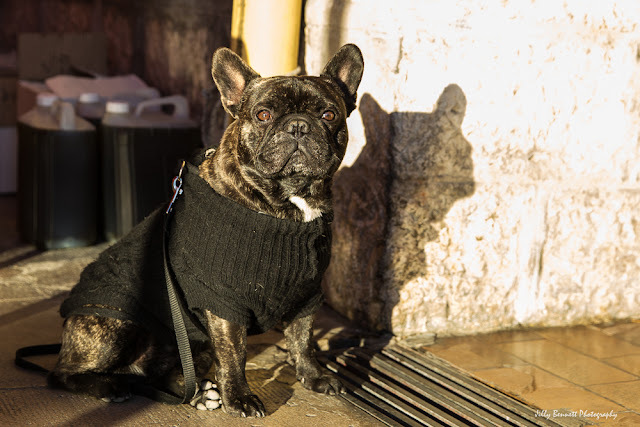 He's a two-year old French bulldog wrapped up against the early morning chill. He looks quite alert and curious!